Here is a roundup of the 2018 Nikon D5 Holiday Deals & Sales, along with Black Friday, Cyber Monday and Green Monday Nikon D5 deals, sales and specials. Designed to keep up with the fastest subjects and handle the most difficult working conditions, the Nikon D5 comes with some excellent features: new 20.8MP full-frame sensor with bar-raising overall high ISO performance, impressive 12 fps continuous shooting rate with full-time AF and AE, Class-leading AF subject tracking performance with 153 AF points, 99 cross sensors spread across the frame for AF in challenging light, and 4K UHD video recording at 30 fps. Overall, the Nikon D5 is an advanced DSLR well-suited to the most extreme multimedia workflows. And the Nikon D5 flagship DSLR camera achieved an excellent 89% overall score and Gold Award from the experts at DPReview. Below will be a roundup of the 2018 Holiday Nikon D5 Deals & Sales from the biggest online retailers. Nikon D5 Body (CF Version): $6,496.95 at Amazon, B&H, Adorama. 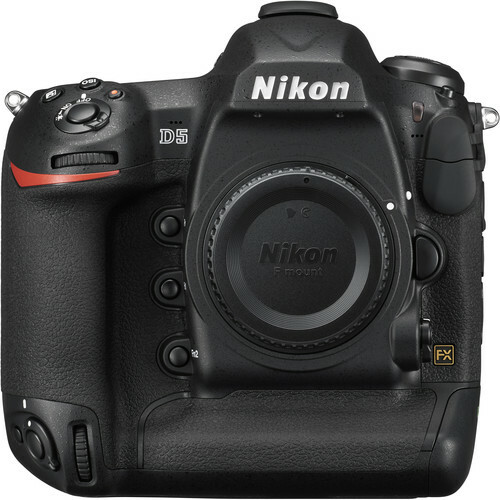 Nikon D5 Body (XQD Version): $6,496.95 at Amazon, B&H, Adorama. Read more: Nikon Black Friday 2018 Deals.